The warm days of spring finally are upon us! The snow is gone, the birds are singing, and more time can be spent outdoors. One way I like to enjoy my time outdoors is by kicking back and relaxing with a sweet cold drink. 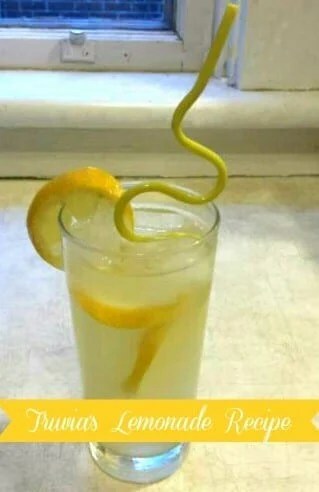 Lemonade is one of my favourite drinks to sip on. I usually use sugar to make lemonade, but I was looking for a way to make lemonade that contained fewer calories. That is why I was happy to try Truvia® Natural Calorie-Free Sweeteners. Truvia® is a naturally-sourced, calorie-free sweetener made from stevia leaf extract (the best tasting part of the stevia leaf). This extract is a key sweetening ingredient makes Trivia a great alternative to using artificial sweetener and sugar. Truvia can also be used to create drinks and food and is an ideal choice for diabetics or for people who are looking to lower the amount of sugar they intake in their diets. 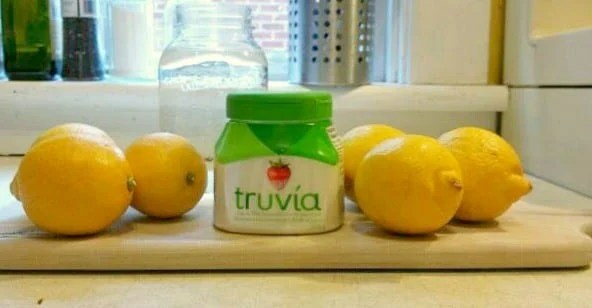 When I received my products from Truvia®, I went straight to work on trying their recipe for lemonade. Truvia’s fresh-squeezed lemonade has a delicate balance of sweetness and tart that makes it a delicious ways to satisfy your springtime thirst. This version of lemonade has 96% fewer calories and 97% less sugar that the full sugar version. *or 4 packets Truvía® calorie-free sweetener. 1. Combine the ingredients and stir to dissolve. 2. Substitute refrigerated 100% lemon juice form concentrate for fresh squeezed lemon juice for a great lemon flavour with a more dialed down tart taste. After tasting Truvia’s version of lemonade, I had to produce this recipe to make enough for my whole family to enjoy! We really enjoyed sipping on Truvia’s lemonade while soaking up the sun in our backyard. As I previously stated, Truvia can also be used in food. 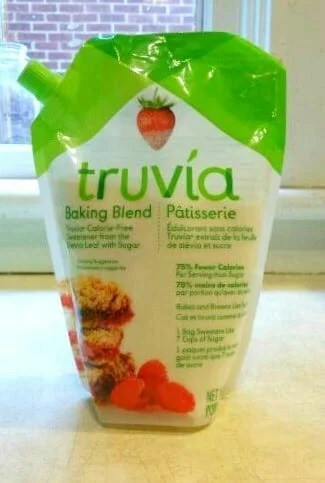 Truvia® Baking Blend is a mix of Truvia®calorie-free sweetener and sugar. 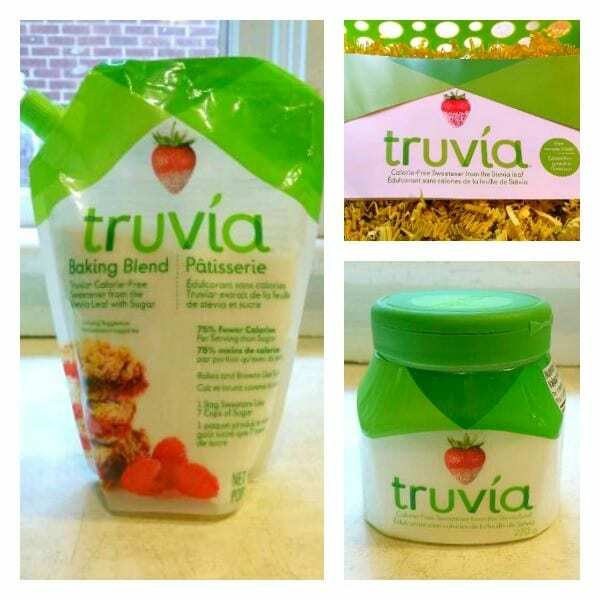 Truvia® Baking Blend givesw a sugar-like taste in recipes, but has 75% fewer calories per serving then sugar. When using Truvia® Baking Blend, baked goods will have a sugar-like texture and moistness and will bake and brown like recipes that call for sugar. Truvia® Baking Blend is available in a 680g bag and has a closable, easy-to-use pour spout. Truvia® Natural Calorie-Free Sweetener is also available in convenient single serve packets so you can take Truvia on-the-go for your snacks and favourite drinks! My family enjoyed using Truvia® Natural Calorie-Free Sweetener! It made making lemonade quick and easy, and it is a great alternative to using sugar to reduce the amount of sugar we consume. Our spring has been made sweeter with Truvia®. Curious about what else you can make using Truvia® Natural Calorie-Free Sweeteners? You can find them on their recipes page! If you would like to have more information about Truvia®, you can visit their website. You can also connect with Truvia on their Facebook and Twitter pages! 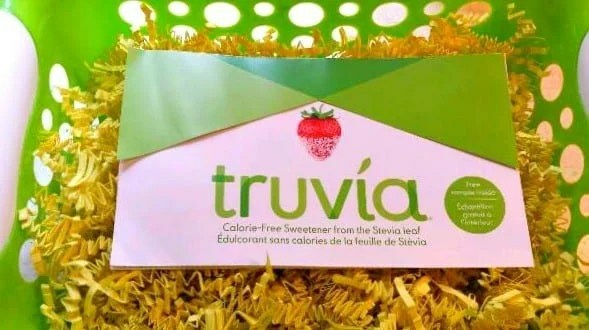 Truvia® would like to make spring sweeter for one Ottawa Mommy Club reader to try their natural calorie-free sweeteners for themselves! They will be giving away a $50 worth of Truvia® Sweetener Packs and some items to have fun to make your own lemonade! I’ve never used it in a recipe, but i’d love to see how it would stand up in banana bread. I have not tried this kind yet. Looks great though. I have never used Truvia before. I have never used this before…in fact this is the first I am hearing of it. Yes i have used all three products of Truvia packs. Such a high quality items, great for cooking too. I have not used Truvia at all before, but would like it for my diabetic daughter. I have never tried it but want to try baking with it. I have not tried Truvia® Sweetener. I do use sweetener when baking all the time because of my husband’s diet. I have never used Truvia in a recipe before. Yes we have! Mostly in cookies. My dad is diabetic and loves sweets so sweeteners are important in our house. I have never tried Truvia® Sweetener yet. I really want to try it! I haven’t tried Truvia yet. I used Sweetener to for pancakes but not Truvia, looking forward to trying. I have never tried Truvia before. I have not tried Truvia, yet. I have not tried Truvia yet. I have never tried Truvia before but would like to as it seems like a natural sugar replacement. I have not used TruVia yet. I have never used it but have been hearing good things and would love to try it! No, I’ve never used Truvia® Sweetener in a recipe, in fact I’ve never used a sweetener at all. This does at least sound like an acceptable one, I’ve had some in coffee and the taste was horribly artificial. I’ve never use Truvia before but love to try someone new to replace regular sugar! I’m in love with this recipe and giveaway! 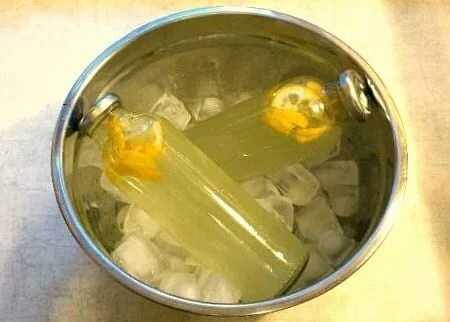 I looove Lemonade and hey, low calorie count.. I’m in. Thanks so much! I’ve not tried it yet but I’m looking forward to using it in my tea. I’ve used it in carrot cake. We love Truvia! We have used it in a few recipes – muffins..and my daughter even used it in Sangria! Haven’t tried It in a recipe yet. Something to look forward to though! I’ve never used Truvia before. I have this at home I will have to try with less sugar I like mine sour.